After a week in the southwest of France, we spent a couple of days on the southern coast of Brittany. 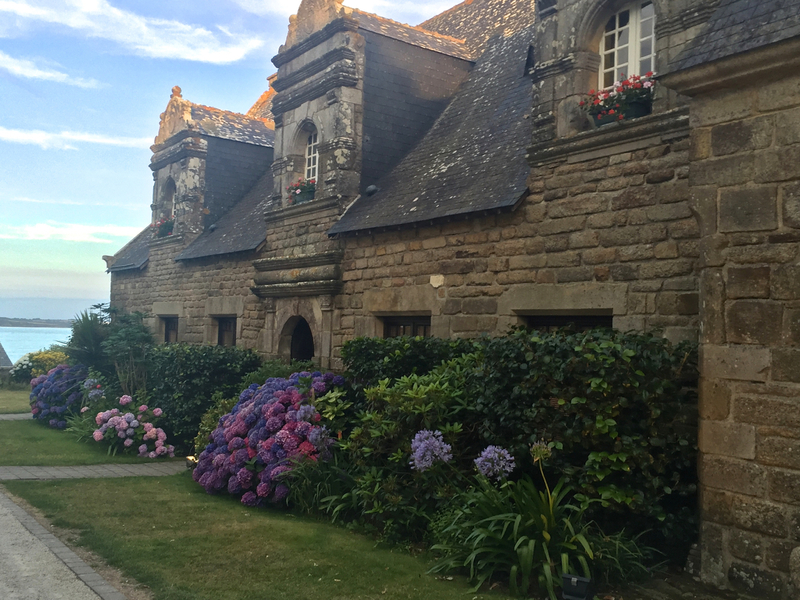 We had spectacular weather and fully enjoyed our stay at the Domaine de Rochevilaine, a Relais and Chateaux hotel consisting of centuries-old stone buildings located on the Pointe de Pen Lan, about an hour from Nantes. 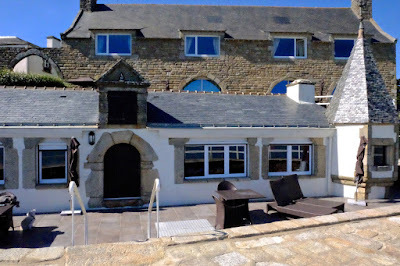 Our lovely and spacious room was just above the rocks on the shore, and enjoyed an unobstructed view of the Vilaine Estuary and the land on the other side of the inlet. 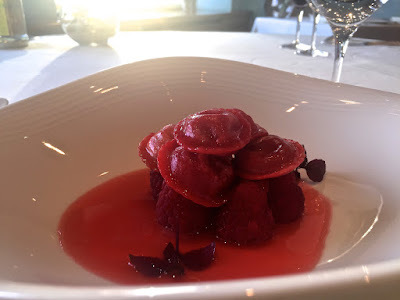 The Michelin-starred restaurant was in a different building; with southern and western exposures, it was bathed with sunlight during the long summer evenings we spent there. Our room from the inside. Sylvie is loving it! As expected, the food was excellent. 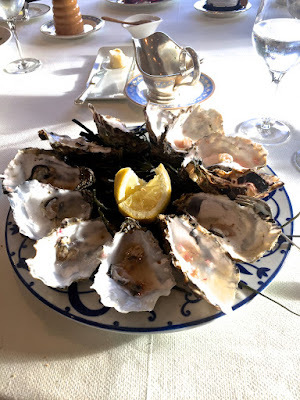 Although it was no challenge for the chef, I particularly enjoyed the Penerf oysters, which were quite simply the best I have ever eaten: briny but not too briny, just the right size and tasting as though they had been harvested within minutes of our meal. They were so good that I ordered them again on our second night. 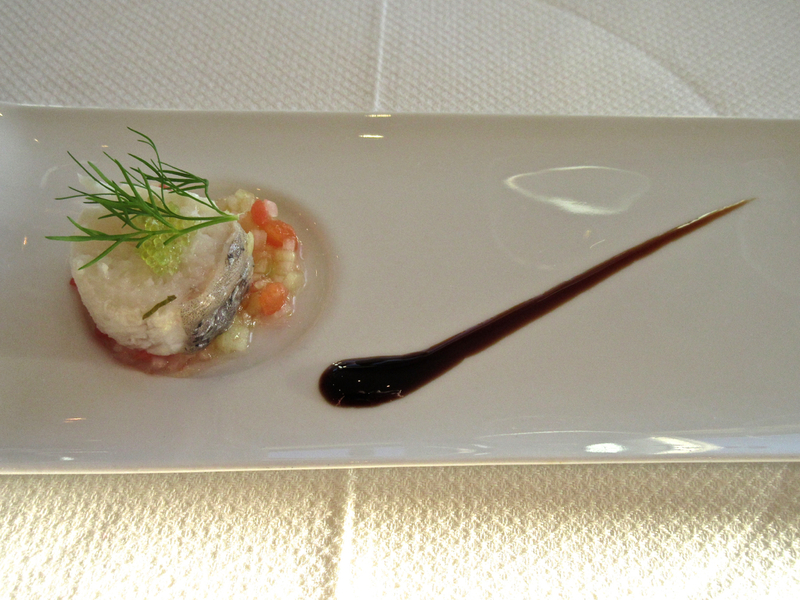 Joan's starters did require ccoking: red fruit ravioli and crabmeat, both very successful. 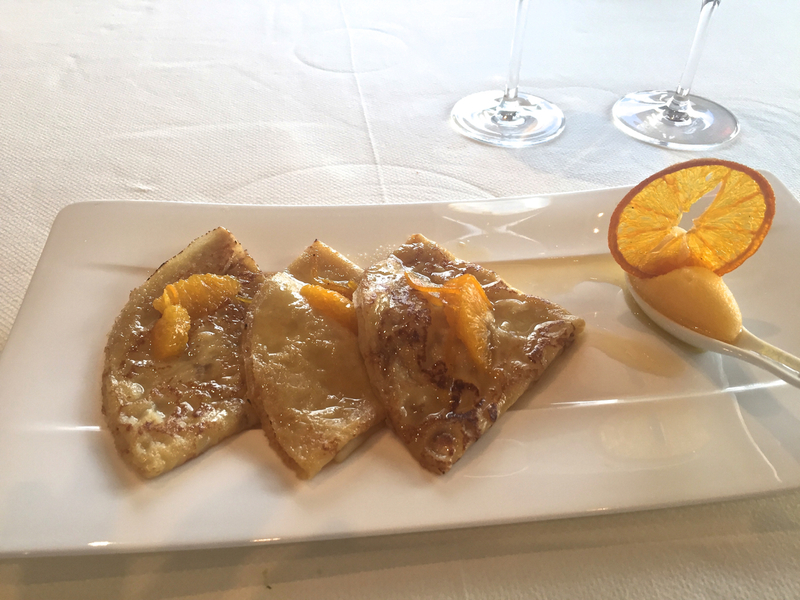 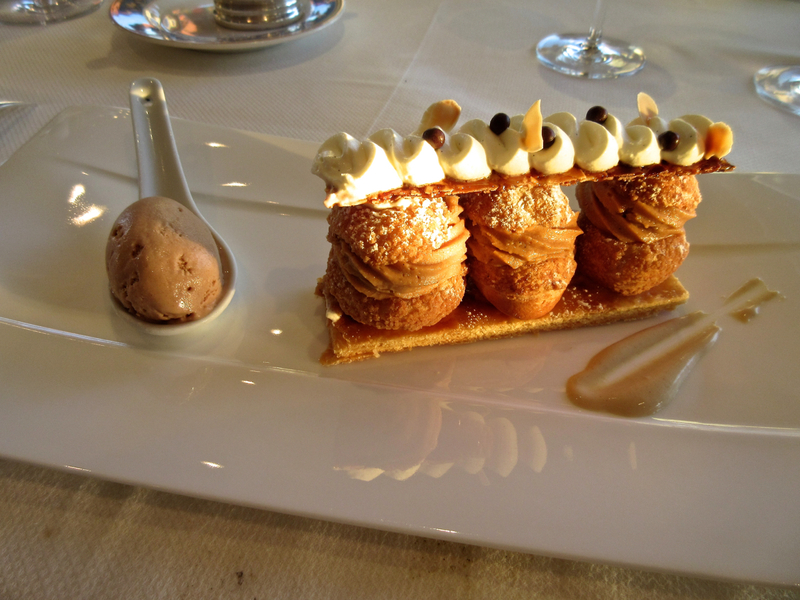 For some reason, I did not photograph our main courses, which were just fine, but I woke up in time for dessert: a Paris-Brest that tasted as good as it looked despite the non-traditional presentation and perfect Crèpes Suzette. 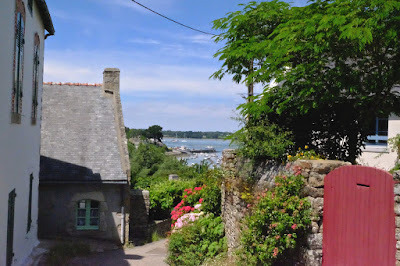 Given the perfect weather, we took the advice of the person at the desk and drove to the Golfe of Morbihan. 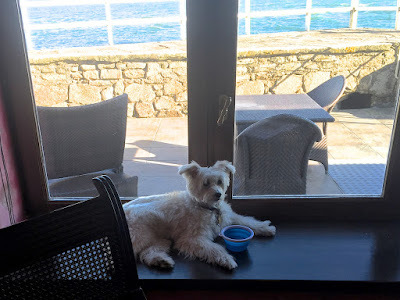 A three-minute ferry ride took us to the lovely Île aux Moines, where we lunched on moules frites at a picturesque restaurant overlooking the bay. 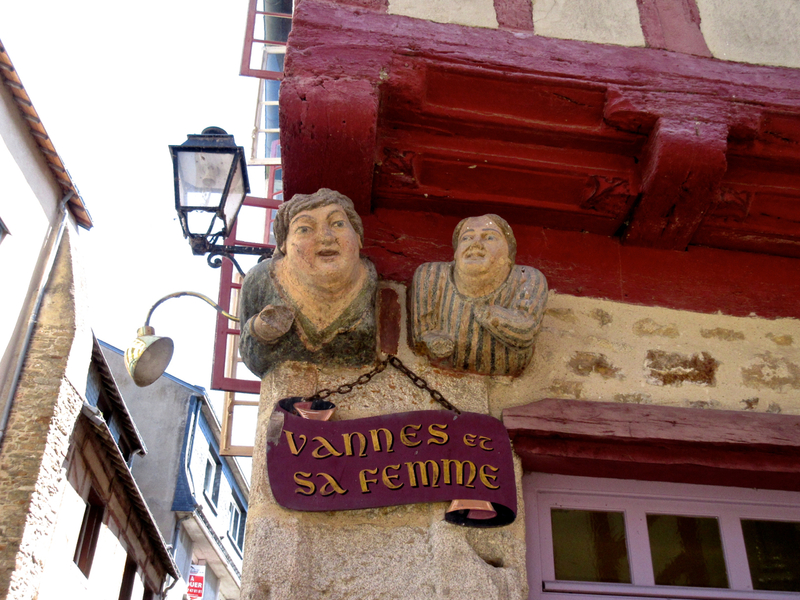 From there we drove to Vannes, which turns out to have a beautiful old town that is right out of central casting (or the equivalent for a location) for a Breton village. 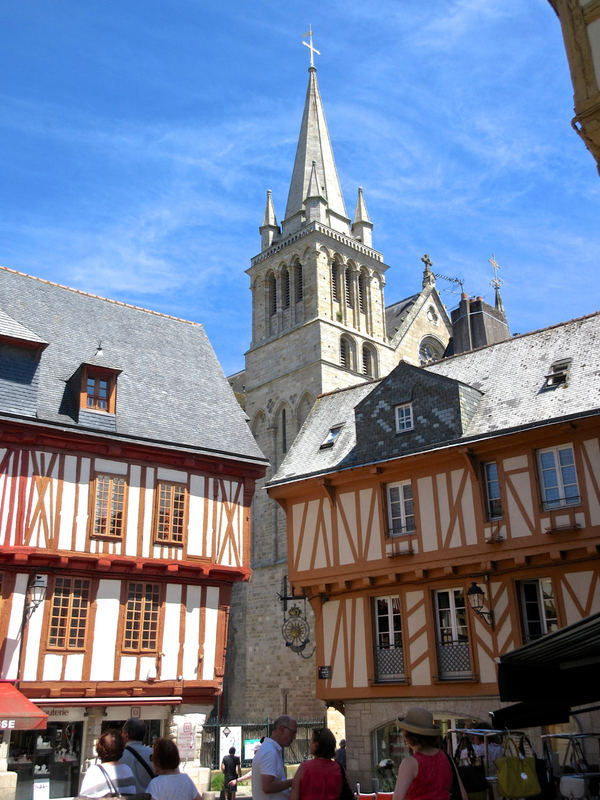 This is a great part of the world to spend time in, particularly when the weather is fine.